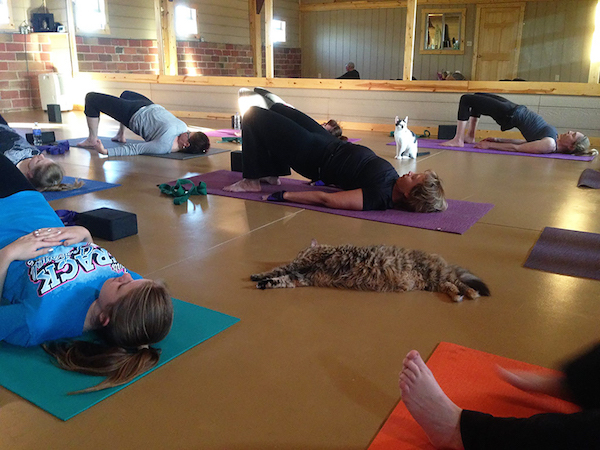 A yoga studio in Decatur, Illinois, has come up with an adorable way to get people to adopt cats: invite them to yoga class. Homeward Bound, a local no-kill animal shelter, recently sent six cats in need of homes to a class at Connie’s, a yoga studio in Decatur. According to Bored Panda, Homeward Bound social media volunteer Jeanette Skaluba came up with the idea after a video of 12-year-old cat Oreo riding on her shoulder went viral. “Cats rule the Internet,” Skaluba said, “But that trend hasn’t increased adoptions.” This event aimed to change that by showing the cats’ personalities and helping people envision the animals in their homes. Skaluba told The Dodo that people often find shelters depressing, so they don’t visit. 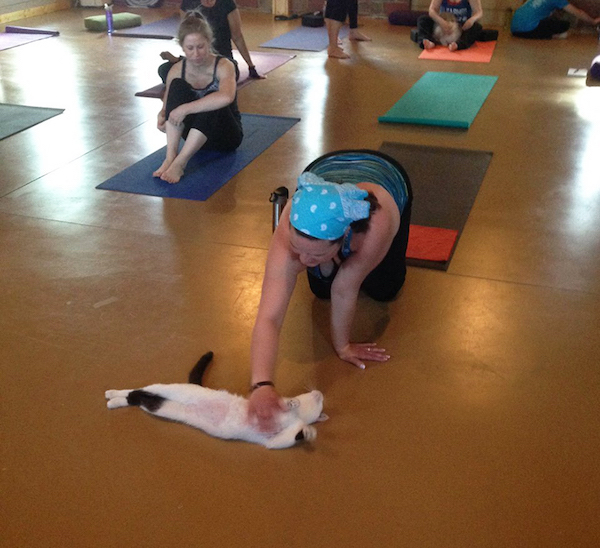 However, by bringing the cats to a public event like a yoga class, people have the chance to interact with the cats in a more natural environment; Skaluba thought that by allowing cats and yogis to mingle, people might be more inclined to consider adoption. As the humans did Downward Dog, the cats wandered the studio, many of them investigating the yoga mats while others perched on or near those they thought most likely to hand out belly rubs. Pease called cats “ideal companions” for yogis, pointing out that they seem to enjoy yoga as much as humans do and are eager to interact with people even when they’re exercising. June is Adopt-a-Cat month, according to Bored Panda, so this event came at a great time to raise awareness about shelter cats. The event raised over $500 for Homeward Bound; by the end of the class, one of the cats had even found a new home. Connie’s and Homeward Bound plan to team up for future cat yoga classes, says The Dodo. They hope that other studios across the country will do the same and encourage yogis to provide loving homes for animals in need. What do you think? 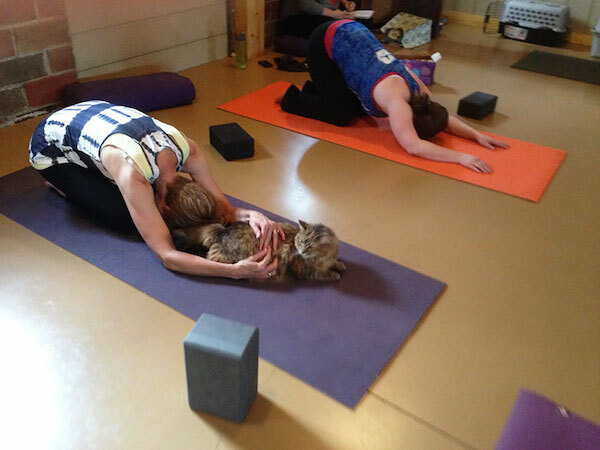 Would you like to see your local yoga studio promoting pet adoption with events like this?